Whomp whomp. There're no OMFG Series 1 (Onell Light Blue)s for sale. 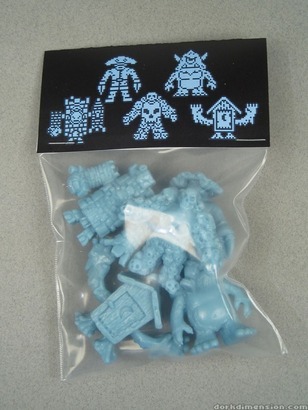 Onell Design (makers of the Glyos action figure/building toys) got their own "Standard Pheyden" light blue exclusive version of the OMFG Series 1 toys in a light blue color. This set was bagged with header card.